The mission of Lakewood Ranch Gymnastics (LWRG), is to provide the highest quality gymnastic training to all ages and levels of athletes in a safe, positive and stimulating environment, while developing strong, happy young people of good character and good sportsmanship. While challenging each athlete to progress to his or her individual ability and commitment level, we will strive to help each child grow, not only in his/her physical abilities, but also as people of character, integrity, and sportsmanship, and to become contributing members of society. We will assist our parents in teaching their children to take responsibility for their actions, to think for themselves, to encourage them to act respectfully to their peers and coaches, and to instill a sense of pride in their athletic abilities and accomplishments. It is our goal to provide a program that the whole family can enjoy and spend quality time together in a wholesome environment. We hope to achieve all of this in a way which works in a cohesive manner for everyone involved – the athlete, the parents, and the staff of LWRG. Owners David and Laura Parraga both have an extensive background in the gymnastics arena. David is a former Venezuelan National Team member and international caliber-athlete, while Laura is a former competitive gymnast, judge, and professional cheerleader. Up until May of 2012 Laura and David were the optional head coaches at LaFleur’s Gymnastics in Largo for 9 years while living in Manatee County. During this time they had many teams win numerous state titles as well as coaching individuals to state, regional, and national championship titles. David and Laura currently have several athletes competing in NCAA gymnastics programs, many attaining full athletic scholarships. 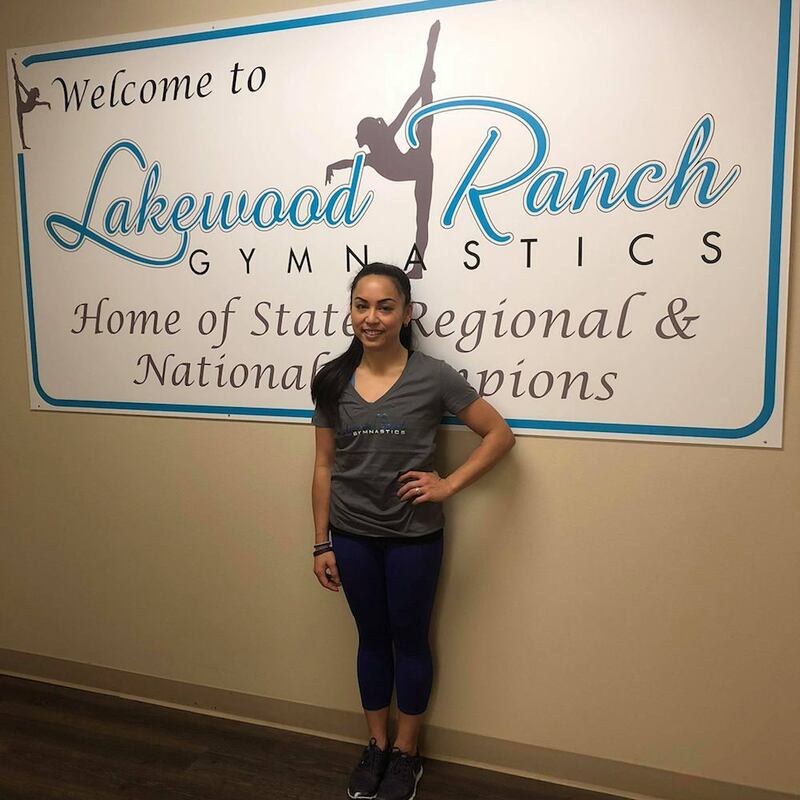 They are among select coaches in the area/state currently participating in the elite gymnastics arena and attend camps and activities at the USA Gymnastics National Team Training Center at the Karolyi Ranch. Both David and Laura are in good standing with USAG and are safety certified, have completed NCSI background checks and are Adult and Pediatric CPR Certified. They are also both certified in Safe Sport conduct for athletes. They are excited to provide their expertise to area gymnasts, while now being so close to home. David Parraga, who was born and raised in Venezeula, started his career in gymnastics at the age of 6 when he was spotted by a gymnastics coach flipping around on the beach. After training for many years, David became a member of the Venezuelan National Gymnastics Team, which he was on for 6 consecutive years and was the Venezuelan athlete of the year. He was also a Medalist in the 1987 Pan American Junior Games, and had many assignments to compete in International Competitions all over the world. During his time of travel he soon came to realize he wanted to live in the United States. So, in 1999 he moved to Miami. Since then David has worked at several well known gymnastics camp; such as Woodward, the University of Georgia, and Penn State University, as well as in private clubs. In David’s spare time he loves fishing, golfing, and watching baseball. Laura Parraga, who started gymnastics at the age of three, was born and raised in South Carolina. After gymnastics, Laura spent many of her years as a cheerleader and was fortunate to have had the opportunity to cheer in SuperBowl XXXIII in Miami, when the Atlanta Falcons were playing in it. During her early cheerleading days, Laura began coaching part time at her local gymnastics training center, and found her passion. She quickly developed the technical skills required, but found that her greatest joy was watching the young gymnasts set and achieve goals. 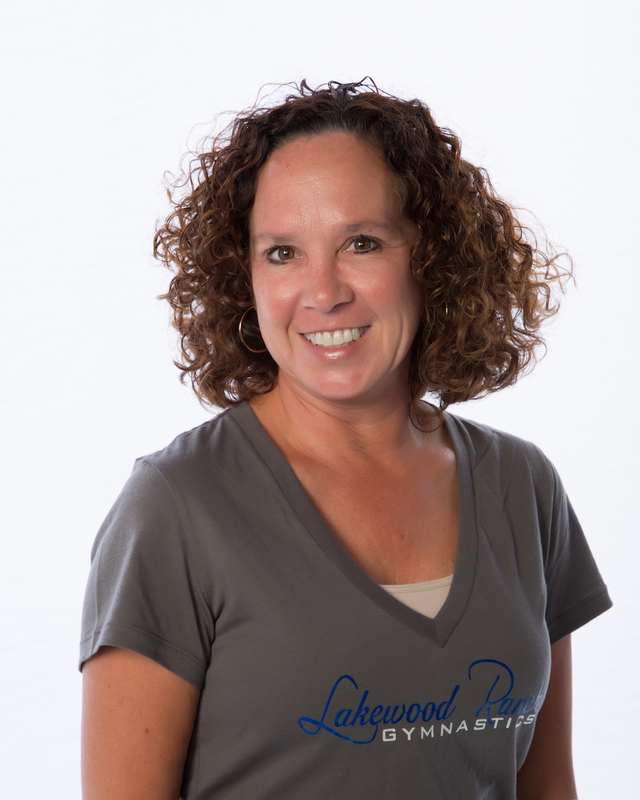 Laura is a nationally recognized and accredited gymnastics judge and has been coaching and judging since 1992. While not in the gym, Laura enjoys antique shopping and boating. Caroline was born in Sarasota, but raised in Tampa, Florida. She graduated high school in 2009 and is currently attending the University of South Florida and pursuing a degree in Elementary Education. She graduated from USF in December of 2013. Caroline began gymnastics while in elementary school and competed in both compulsory and optional levels. While in high school, Caroline joined an all-star cheer leading team for two years and was also a part of her high school’s varsity cheer team for her senior year. She began coaching gymnastics the summer after she finished high school and has enjoyed every minute of it! Caroline has worked at LWRG since April of 2013. In that short time she has coached numerous Level 2,3,& 4 individual state champions, and has coached our Level 3 & 4 teams to division 1 state team titles! Caroline is a USA Gymnastics accredited judge for the compulsory levels. Caroline has passed NCSI background checks as well as having been certified through Safe Sport for athlete conduct. She is pediatric and adult CPR certified. She has always loved gymnastics and it is one of her true passions! 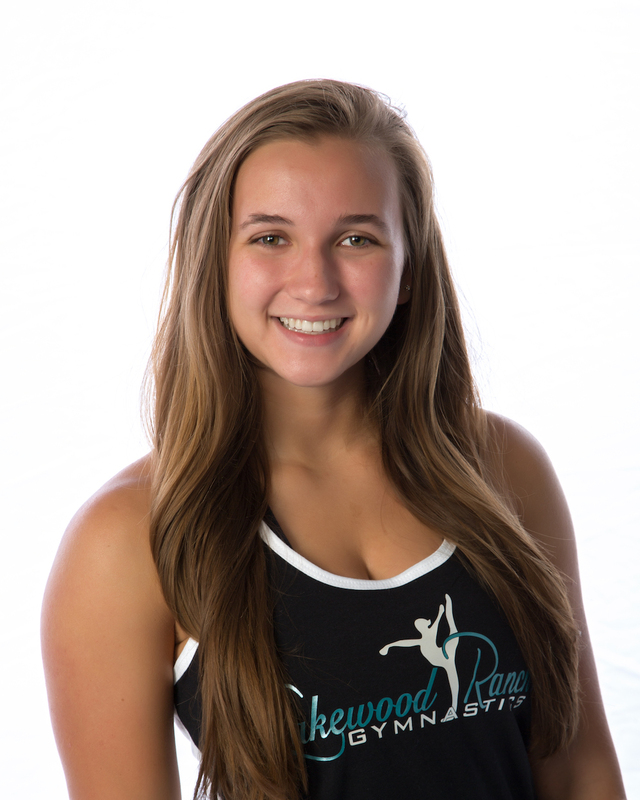 Jill was born and raised in Louisville, KY. She was a gymnast and dancer from the ages of 4-14. After competing gymnastics Jill began cheerleading that then led her to college cheerleading at the University of Louisville where she graduated with her Bachelor’s in Health Promotion. Jill began coaching at her childhood gymnastics club while attending college and quickly realized her love and passion for the sport and more importantly the kids involved. She has been coaching for over 26 years heading many programs from preschool through competitive team. Jill has passed NCSI background checks as well as having been certified through Safe Sport for athlete conduct. She is pediatric and adult CPR certified. 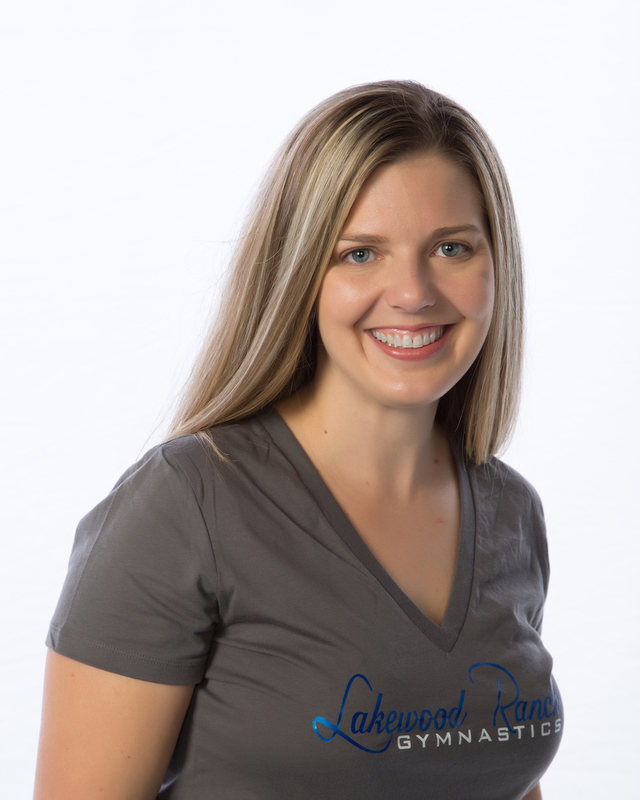 Outside of the gym Jill enjoys running and cross training as well as redoing old furniture. Jill has always said “There is nothing better than getting smiles and hugs from all the kids, it makes my day”. Jill currently coaches preschool and our Xcel Competitive Team athletes. 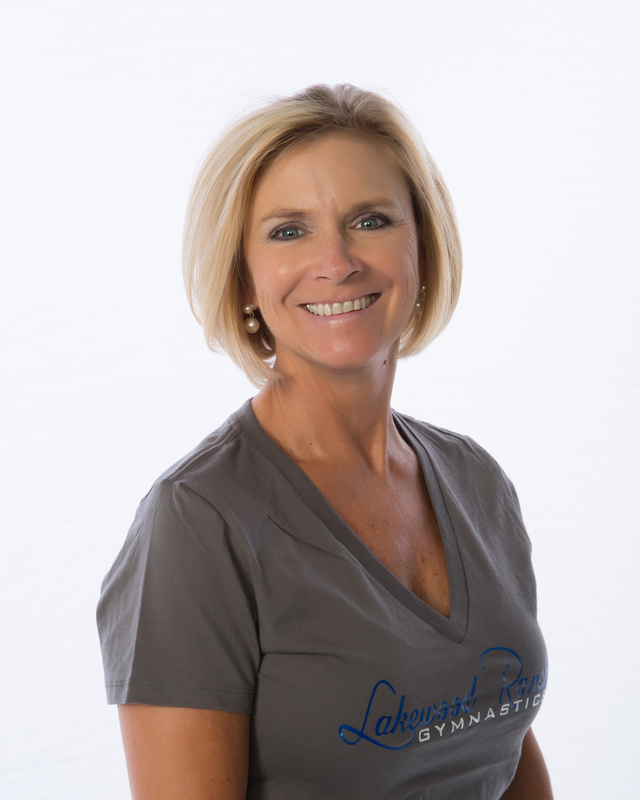 Chi H comes to Lakewood Ranch Gymnastics with over 30 years of gymnastics experience. A level 10 competitive gymnast, Chi trained at Cincinnati Gymnastics Academy and went on to earn a full scholarship to Iowa State University under then head coach K.J. Kindler. At Iowa State, Chi was an all-around gymnast, school balance beam record holder, and Academic All Big XII Team member. Chi began her coaching career at Cardinal Gymnastics Academy in 2001 while at Iowa State. Since then, she had the privilege of coaching at Cincinnati Gymnastics Academy working with children of all ages and levels, from beginner to Level 10. Chi has also served as the gymnastics program director at SKIES Unlimited in Fort Knox, KY.
Chi is a full-time Realtor, proud military spouse, and dog-mom of two. Dali was born in Bosnia and Herzegovina and moved to St. Petersburg, Florida at the age of five. She began gymnastics at the age of eight and fell in love with it immediately. With her instant love for the sport she couldn’t get enough of gymnastics and it soon became a lifestyle. She trained under Laura and David Parraga at Lafleur’s Gymnastics of Largo. While there she achieved several individual state titles, regional titles, qualified to three Eastern J.O. Championships and was the 2008 Eastern J.O. Level 9 vault champion. She was also able to accomplish her dream of performing as a collegiate gymnast as she was accepted to the University of Florida as a member of the Gator Gymnastics team. As a freshman in college she was a part of UF’s vault lineup for every meet and set her collegiate best score of a 9.9. She was a member of three SEC title winning teams and was a part of the first ever NCAA National Championship title for the UF Gymnastics team. While at Florida she was named to the National Association of Collegiate Gymnastics Coaches Scholastic All-America team and was a four time SEC Academic Honor Roll recipient. She had the time of her life competing for a top ranked University and learned so much about gymnastics and herself. She is ready to pass on her knowledge to the next generation of athletes and is so very happy to be at LWRG coaching along side of her club coaches. In 2013 she graduated with a bachelor’s degree in Sociology. After graduation she interned with the UF Strength and Conditioning program where she was able to work with the gymnastics, women’s soccer and lacrosse teams. Dali has passed NCSI background checks as well having been certified through Safe Sport for athlete conduct. She is pediatric and adult CPR certified. When she’s not in the gym she enjoys spending time with my family and her husband, Clay. She enjoy working out, cooking, and watching football….lots of football! 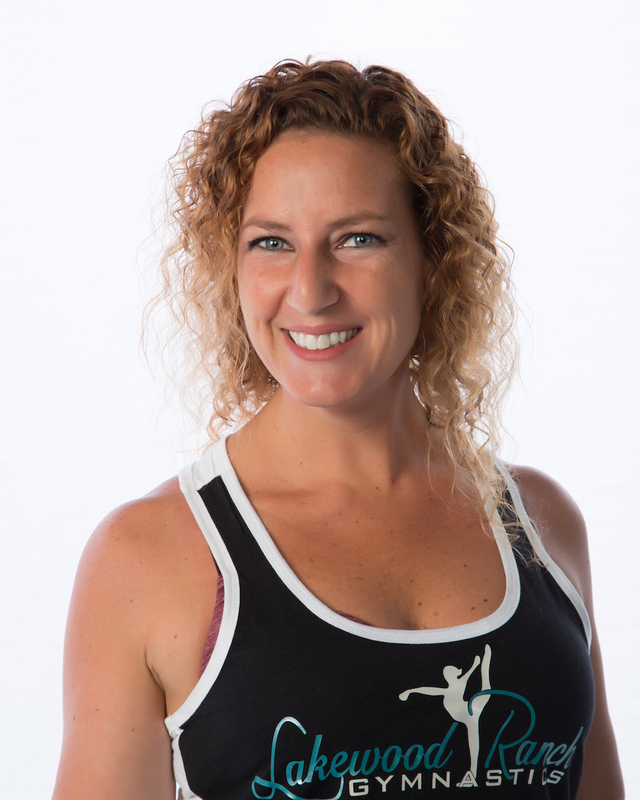 Jillian was born in Providence, Rhode Island and raised in New Smyrna Beach, Florida. She started gymnastics at the age of 2 and instantly fell in love with the sport. At the age of 10, Jillian moved to Virginia for a couple years where she had the opportunity to compete at the elite level at Capital Gymnastics National Training Center. While an elite, Jillian competed at the 2006 US Classics in Kansas City, Missouri. 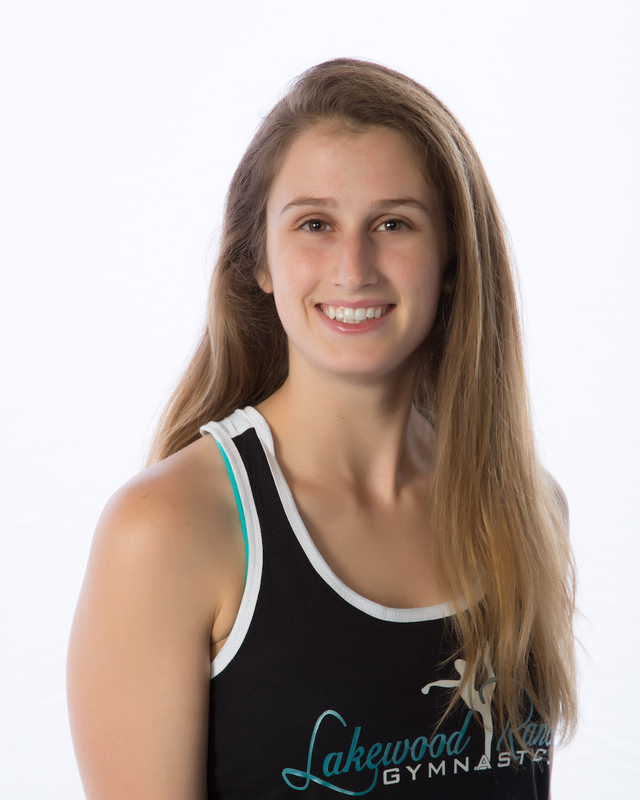 Upon her move back to Florida, Jillian trained at ACE Gymnastics where she was coached by Ray Gnat, Jon Lee, Beth Martin and Joan Gnat in Longwood, Florida for the remainder of her junior Olympic career. As a level 10, Jillian held many state titles including vault, floor, and the all around. Jillian was a seven-time regional qualifier and regional vault champion. She was also a three-time national qualifier. Jillian continued her gymnastics career at University of Kentucky and competed in the vault line-up every meet of the season. Her sophomore year, Jillian transferred to Utah State University in Logan, Utah. For the remainder of her collegiate career, Jillian held 2 vault titles and had the chance to compete floor and beam her junior and senior year. Her career highs in college were 9.9 on vault and 9.8 on both beam and floor. While at Kentucky Jillian received the honors of SEC All-Academic team her freshman year. While at Utah State University, Jillian received the MWGC All-Academic Honors and senior year received MSRG First-Team Vault Honors. Utah State was everything and more Jillian could have ever imagined her collegiate career to be like. She met amazing people and had the opportunity to travel all around the country. 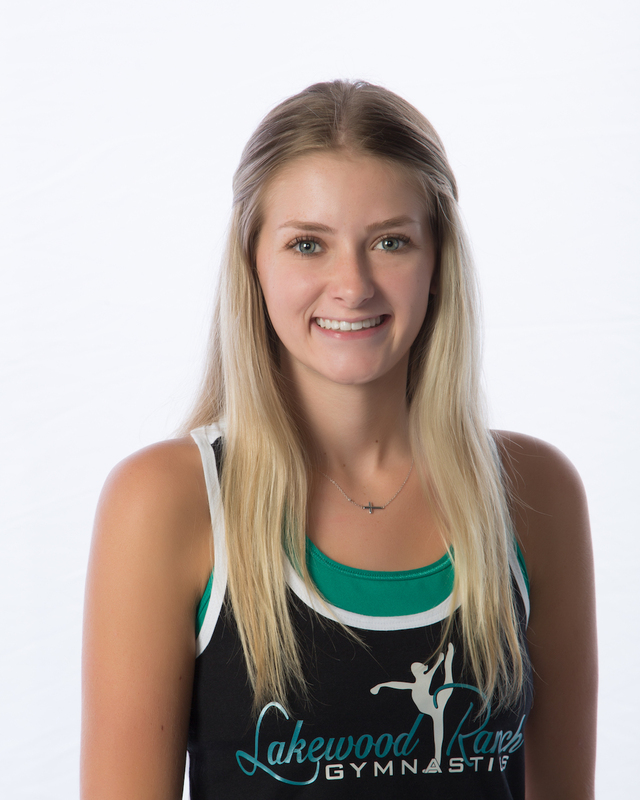 Senior year Jillian started coaching at High Point Tumbling and Gymnastics in Logan Utah, where she discovered her love for coaching. In 2016 she graduated with a Bachelors degree in Human Movement Sciences with an emphasis in Exercise Science. In 2017, Jillian and her boyfriend moved back to Palmetto, Florida. When Jillian is not in the gym, she is either exercising her passion for the eye in working with a local retinal surgeon, or she is down by the water with her two canine best friends, Nala and Papi. Antonio has been coaching for over twenty-three years. Before coming to Lakewood Ranch he was the coach of the men’s team at Houston Gymnastics Academy. As a gymnast Antonio had the opportunity to compete all over the world for Venezuela. He currently coaches our boys and tumbling classes and is the head coach for Vault and Bars for our Xcel Teams. In his spare time Antonio enjoys spending time with his wife and two children. Ali started gymnastics at the age of three. Over the course of the next 11 years she took tumbling, ballet, and other dance classes as well. She continued to compete and made it all the way to level nine before she had to leave the sport due to injuries and time restraints. At this point Ali turned to Cheerleading, making varsity all four years in high school. She then went on to cheer for the Gators at the university of Florida, including the 2006 ad 2008 NCAA Football Championships and the 2006 NCAA Basketball Championship. While at UF Ali majored in psychology with a minor in education. She has since been able to teach and coach at the elementary, middle and high school levels. She has completed NCSI background checks and is pediatric and adult CPR certified. 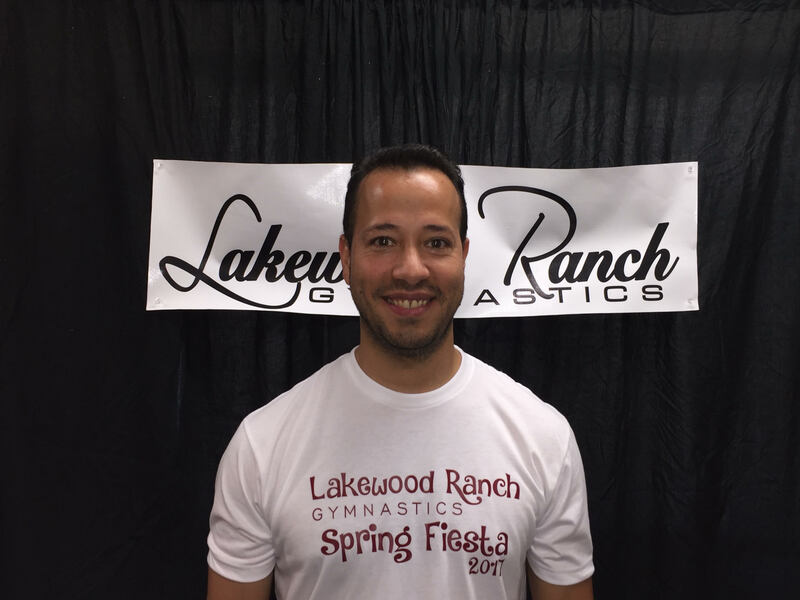 Ali is very excited to be coaching gymnastics here at Lakewood Ranch Gymnastics. 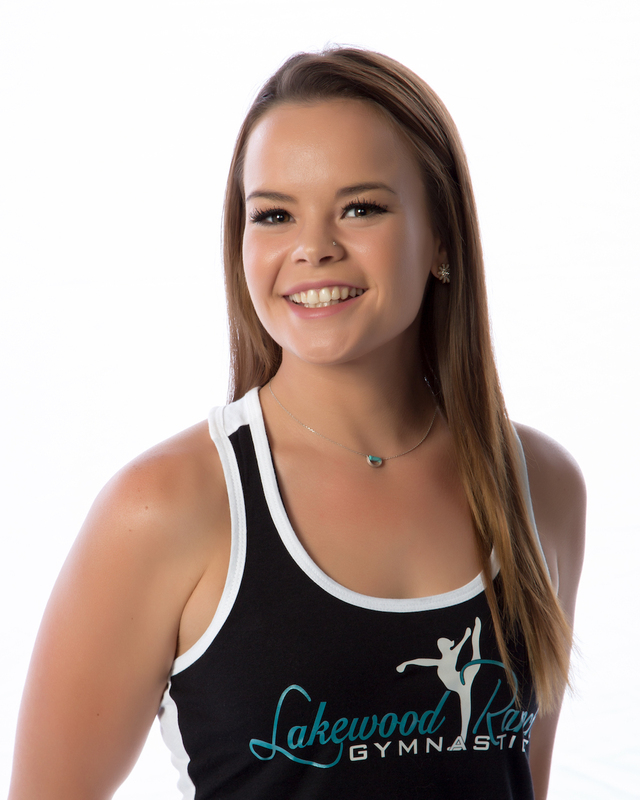 Erin began gymnastics at the age of three and competed through high school as a level nine gymnast. 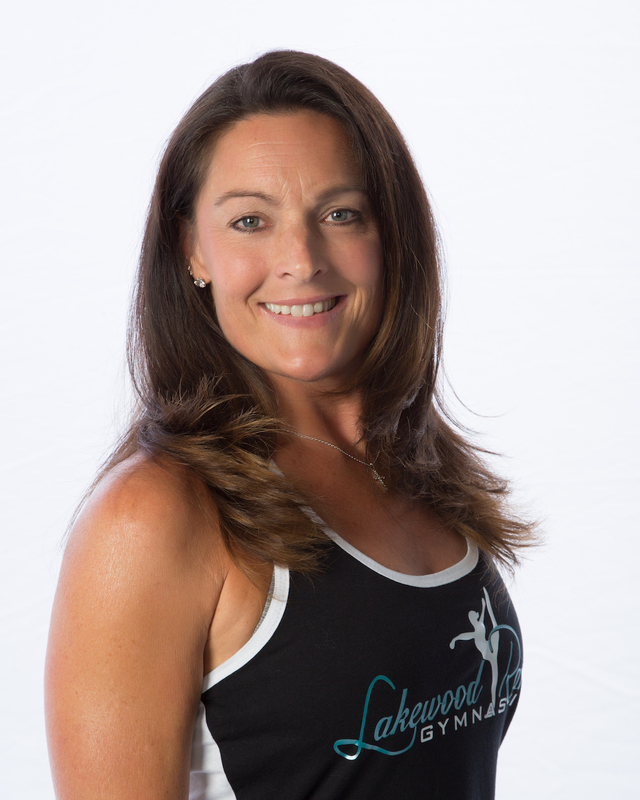 She has been coaching for over 19 years, coaching gymnasts of all levels at gyms and camps in Ohio, Pennsylvania and Florida as well as being a previous gymnastics program director. She has passed NCSI background checks as well as having been certified through Safe Sport for athlete conduct. Erin has a Bachelors Degree in Sports Management from Bowling Green State University, a Masters Degree in Communications from the University of Queensland and she works full time in marketing and advertising for a large nonprofit organization. When not coaching, Erin enjoys spending time with her husband, running, working out and doing anything outside. Sophie is a recent graduate of Lakewood Rach High School. She is 18 years old and is a student at the State College of Florida. She has had a lifelong love for Gymnastics and started training when she was three years old. 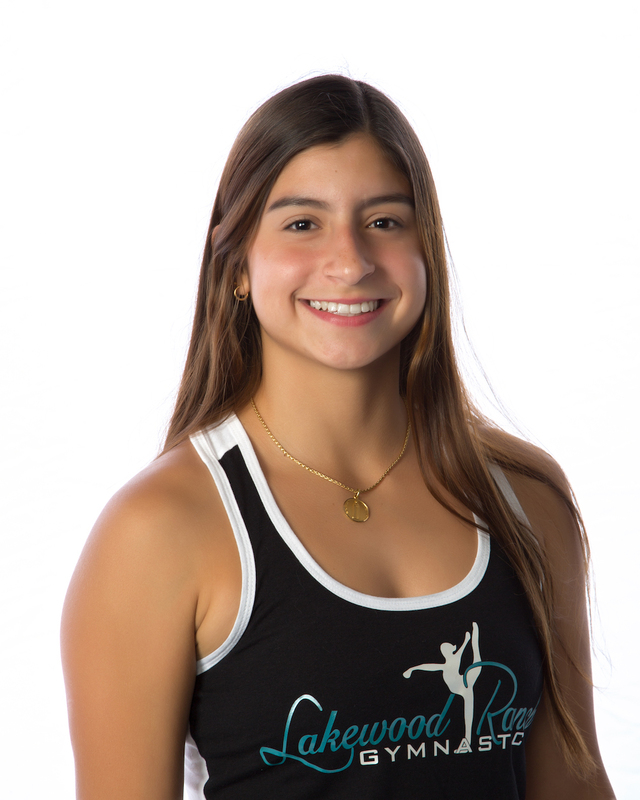 She trained Lakewood Ranch Gymnasts (LWRG) for a couple years, devoting over 15 hours a week of rigorous training to ready herself for competitions. Her passion was and still is the competitive aspect of the sport. She competed as an Xcel at LWRGs until she was 13 years old. Sophie moved to Melbourne, Australia at age 13 and continued her training abroad for serval more years as a level 9, until she moved back the United States in late 2015. Since then, she had to spend a significant amount time with her studies in the USA in order to graduate on time, in 2017. She loves Gymnastics with all her heart and relishes the opportunity to coach the young athletes at LWRG. Kara was born in Frederick, MD and was raised in Bradenton, FL. She is currently a sophomore at the State College of Florida. She started gymnastics when she was six years old and competed until she was 12. She moved to California at age 12 and began Allstar cheerleading, which she did for two years. After moving back to Florida, Kara cheered throughout high school and was captain her senior year. Kara enjoys working with our recreational athletes and is has her Safesport Certification for athlete conduct. Kim was born and raised in Northeast Ohio. She is married to Mike, and they have three children: Marissa, Samantha & Salvatore. All three have been very active in high level sports. Kim grew up loving the sports of gymnastics and cheerleading, participating in both at the recreational/school levels. She coached a CYO cheer squad while in high school. Kim spent her early career with The Glidden Co. in Cleveland working in Human Resources as Benefits Rep & Training Coordinator. As a parent, Kim was a very active school volunteer for over 20 years, including teachers aid, reading aid, office aid, room mom and chaperone. She was also very involved in youth sports, managing several soccer teams and chairing several committees. At Gymnastics World in Ohio, she served on the Booster Club Board as Secretary and aided in the coordination of the annual “Rock & Roll Classic” gymnastics meet — volunteering in areas such as hospitality, decorations, meet worker/event timer. She also volunteered at R5 JO Regionals when it was hosted in downtown Cleveland. In 2014, Kim & her family moved to Lakewood Ranch. During that time, Marissa played D1 soccer in Florida, Sammy competed & trained as a L8/9 gymnast for Lakewood Ranch Gymnastics, and Sal played soccer at IMG Academy. At LWRG, Sammy was a L8 State Champion on Bars, Vault & the All-Around as well as Regional Champion on Vault. While a LWRG parent, Kim was involved in the Parents Club, planning the annual optionals banquet and the Grand Opening / Gold Medal Breakfast with Aly Raisman celebrations. Kim began working in the office at LWRG in April, 2018. 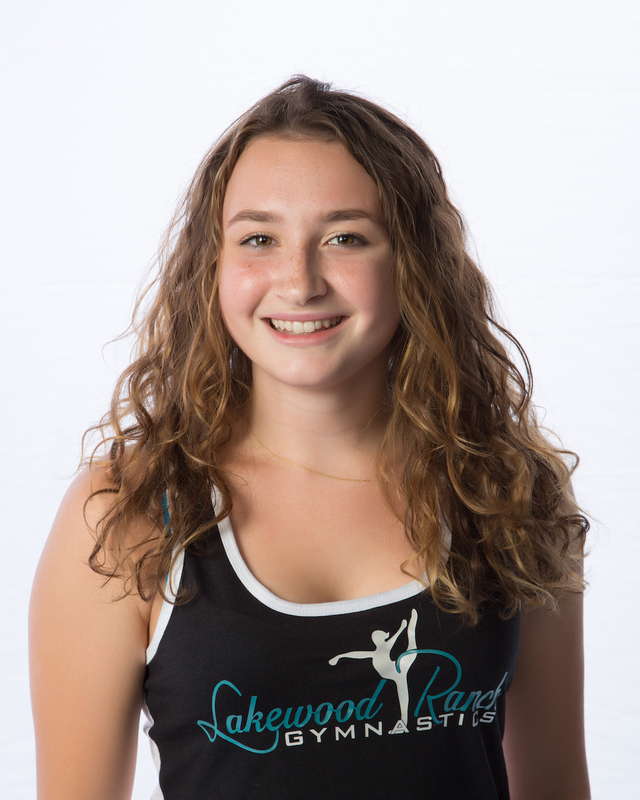 She enjoys the fast pace of a positive and successful gymnastics club and working with all of the staff and gym families at LWRG. It’s a dream come true to tie in her love of the sport with a position that helps others enjoy it as well. This summer, Sammy also returned to the gym as a part time camp coach. Kim is a graduate of Bryant & Stratton College and studied Human Resources at Notre Dame College of Ohio. She has a USAG Instructor membership, is Safe Sport certified and NCSI background checked. In her spare time, Kim enjoys spending time with her family, attending soccer matches and watching NCAA gymnastics. She is a big college gym fan! Her favorite teams are The Ohio State Buckeyes and the Kent State Golden Flashes gymnastics teams.